This year marks the 25th Anniversary of the prestigious competition, inaugurated by Elizabeth (Betty) Hiester in honor of her late husband, journalist and publisher William Muhlenberg Hiester. 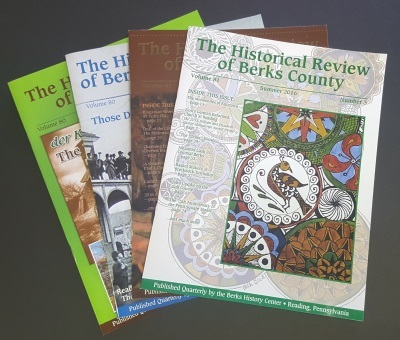 The criteria for the 2017 competition will be announced in the summer edition of “The Historical Review of Berks County,” and Patricia Mertz’s winning entry will also be published in that issue. The 2017 Heister Award Competition is Now Open.